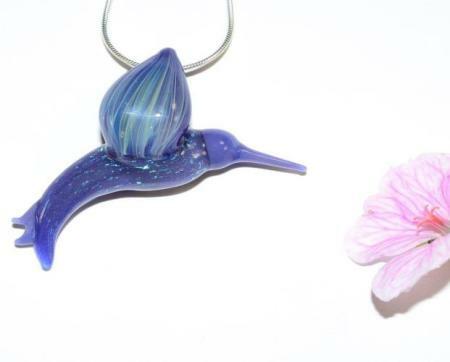 Maggie's Gems are magical tropical wearable hand crafted glass art pieces. 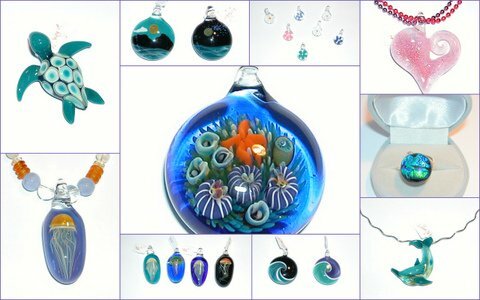 Flamework glass with a tropical summer theme includes jelly fish, anemones, sea turtles and coral gardens all which appeal to the diver in me, and surf waves for the surfer in you and brand new hummingbirds. Adjustable rings made of dichroic glass sparkle like opals. Stop in to see the entire collection any time during Art Walk Friday September 2 and find us also on Saturday and Sunday at Fairfest's Artist venues. Extra Stock will be available at Crest Jewel Until September 12.